Thanks for staying subscribed to FnEZ's email newsletter. 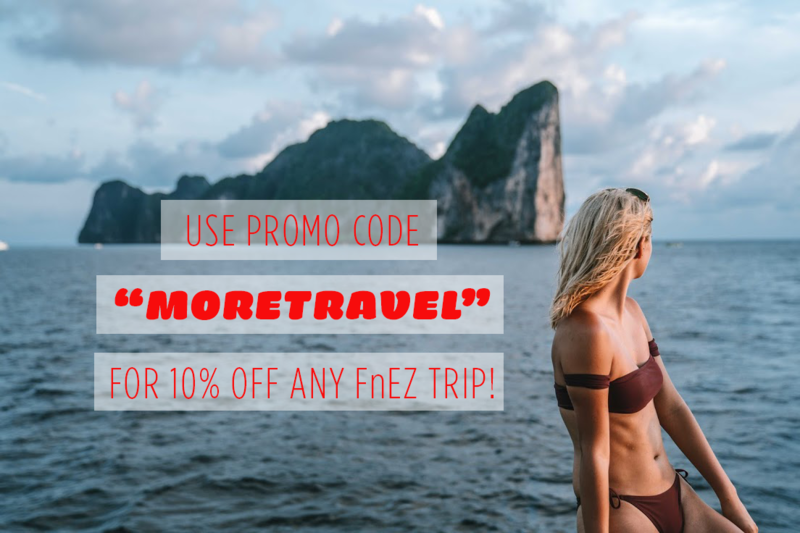 We wanted to show our appreciation by inviting you to join ANY Free & Easy trip at an exclusive discount of 10% OFF! Take a screenshot of the promo code below and type it in at registration. All you need is a $200 deposit to lock in this deal before it expires at midnight on August 15th 2018! Click the button below to check out our amazing trips and available dates! The promo code cannot be used in conjunction with any other voucher, offer, discount, or promotion. Valid only on new bookings. Exisiting bookings may not have the discount applied to them.